Leading SAFe 4.5 certification training in Zurich Introduction The globe?s premier financial capital and home to some of the largest financial offices and banks, Zurich has carved a reputation of high performance and exceptional management best practices. This beautiful Swiss city popular for business and leisure alike is a hub of innovation and is home to diverse talent. Gain some important industry skill sets by signing up for KnowledgeHut?s Scaled Agile Framework training in Zurich. About the Course The Scaled Agile Framework (SAFe 4.5) methodology is applied in scenarios where large scale and multi team enterprises and projects are being shifted into an Agile framework. The Scaled Agile Framework certification in Zurichwill help participants understand the various aspects of this methodology and take up the role of a Certified SAFe 4.5 Agilist, responsible for helpingorganizations and teams acclimatize into a Lean-Agile eco system.The Scaled Agile Framework training in Zurich is ane-learningprogram that helps you prepare thoroughly for theSAFe 4.5 exam, after which the all importantcertification is given. The 2 day training begins with introductory lessons on Scaled Agile Framework where students aretaught the fundamental Lean and Agile values. Industry expert tutors will then lead lessons on SAFe 4.5 principles and as the online classes move on to the later stages, topics covered will include implementationof Agile Release Trains and PI Planning.The second half of thisonlinetrainingincludesmodules on building an Agile portfolio and executing & releasing value.As the Scaled Agile Framework certification in Zurich reaches its conclusion,you will learn about leading a Lean-Agile Enterprise. The KnowledgeHut Advantage Signing upfor the Leading SAFe 4.5 certification training in Zurichincludes many benefits, foremost the ability to track Agile implementation, identify relevant roles and structures and measuring scaled Agile?s impact and progress.In this workshop you will also learn methods to promote the use of SAFe 4.5. Exclusive access to courseand reference materials authored by the Scaled Academy and a one year membership with Scaled Agile are highlights.The price of the Leading SAFe 4.5 online courseincludes the exam fee. 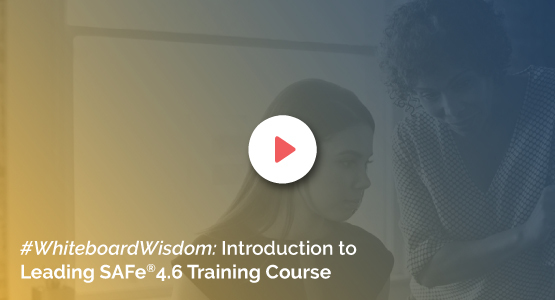 This interactive classroom training is perfect for those taking part in a SAFe 4.5 rollout and for change agents (coaches), development/QA/program managers and executives.